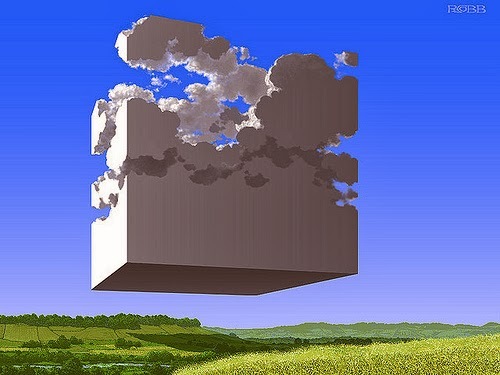 NextCrew Blog: What is the Cloud and Why Should You Be in It? The cloud has been one of the most talked about evolutions of technology within the last decade. But what exactly is it and why should you consider cloud services for your business? While many small business owners are concerned that the cloud is not as secure as other types of servers, that is simply not the case. The cloud works by storing all of your data and information away from your own computers and servers and allowing you to access them whenever you need them. There are several reasons for relocating your systems to the cloud. Here are a few more to consider. The cloud is more cost effective. Unlike traditional in-house servers, the cloud doesn’t require the initial set up of computer hardware in your office. Cloud computing is not cheap but the cost of establishing your virtual system can be much less than if you need to make an investment in storage and server devices capable of running your workforce management tools. The cloud is easy to update and stay current. Because of the remote nature of cloud computing, it is very easy for your tech support to upgrade with the latest technology without your business experiencing any downtime. Since the information is stored off site an update is usually one simply click away. The cloud won't grind your business to a halt if there is a problem. The Cloud is not centralized which means if one server goes down, your system runs on the rest of the available servers. This virtually eliminates any issues with technology hiccups. A hardware failure in the Cloud doesn’t mean your business stops running. The cloud provides opportunities to customize your system. With a cloud based workforce management tool such as NextCrew, you have the ability to customize your system to better represent your company and for your specific business needs. The virtual technology and our white label branding allow us to work with you to create a seamless system for your clients and crew. By using a cloud based system for your company you are able to keep the costs down, stay current with technology, avoid tech outages.